Thin Client is an application or a computer as a terminal of a network. The operation of a thin client runs with less hardware, represents only user interface. Thin client is a concept between fat client and ultra thin client. A fat client is responsible not only for the input and output for the processing of the data. Operation of a thin client is with less hardware than needed for the operation of a fat client. A thin client represents only the user interface, whereas the data processing is performed by a server. Examples of thin client applications are Web browsers or applications to access Terminal Server. When using a terminal server, all input is via a special protocol. On the server or desktop virtualization, the inputs are processed and the output is sent back to the client only when needed. Typical thin client operating systems are based on Linux, Windows CE, Windows Embedded Standard (Win32) or Windows 7. Some manufacturers also allow the central provision of system modifications to such as device drivers to install. Special devices that are intended for use in thin client applications are often referred to as thin clients. For these thin clients, there is no clear definition, they are usually among desktop computer with no moving parts, such as hard drives, CD drives to be configured and managed from a centralized management software. The main advantage of a thin client against fat client is the easier operation. On the thin client only the software needed to access centrally-operated applications runs. This basic software can be independently operated uniformly by the applications that are actually used. 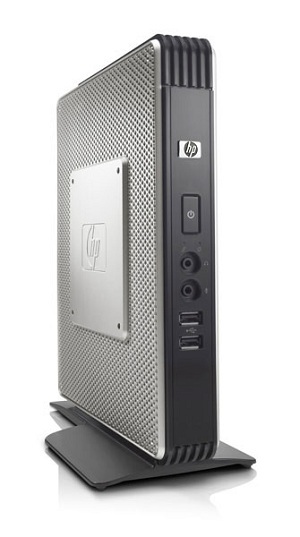 Due to the ease of operation, a typical thin client is cheaper than a conventional PC. Despite these benefits, thin client market share is relatively little. This is from the disadvantages of a typical thin client – graphics intense applications are not compatible to run because of limitation of actual network connection speed. This Article Has Been Shared 5766 Times! Can you please help me know the difference between Thin Client Windows OS and Thin Client Android OS? What are the advantages and disadvantages of each OS? Please help. I will publish an article on the asked topic, I hope that will be more helpful. How and for what purpose you want to do the setup ? Also calculate the cost of bandwidth and main server. Cite this article as: Abhishek Ghosh, "Thin Client : What is Thin Client," in The Customize Windows, March 9, 2012, April 18, 2019, https://thecustomizewindows.com/2012/03/thin-client-what-is-thin-client/.